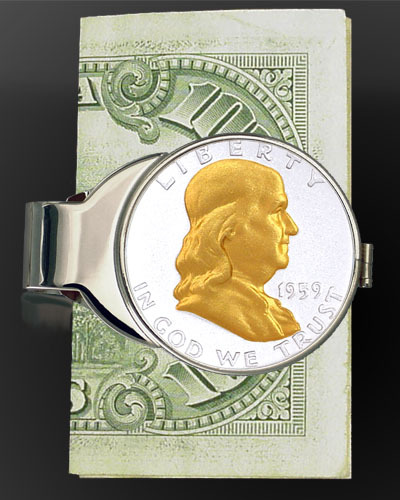 Ben Franklin silver half dollar coin highlighted in pure 24kt gold featured on this spring-loaded money clip from Aurista Coin Jewelry. 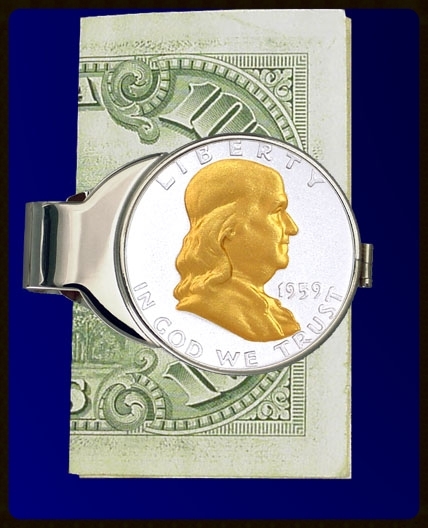 Lifetime warranty, unique numbered signet and certificate of authenticity. An original free spirit... his inventions, ideas and statesmanship were only surpassed by his charming wit. 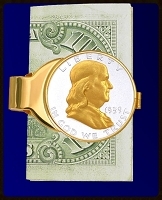 It is only fitting that this founding father be the first non-President to be honored in U.S. coinage. 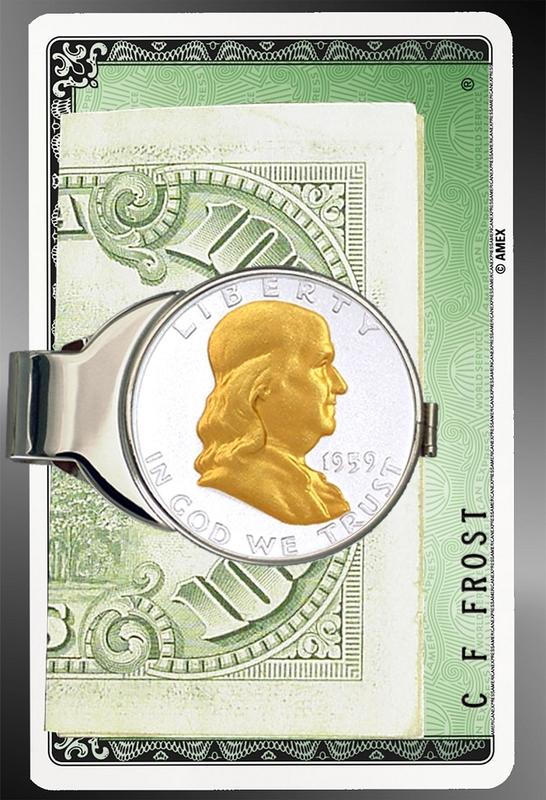 Benjamin Franklin is brought to life in pure gold on an extra-fine silver coin. Aurista's LensCote protection and stainless steel spring frame make this a memorable gift, perfect for the "baby boom" birth years! I just gave this to my husband for his 50th birthday. It exceeded my expectations, he loved it! He carries a money clip everyday and now everytime he reaches in his pocket to pull it out, it reminds him how blessed and special he is. He has got glowing compliments how nice it is and unique. 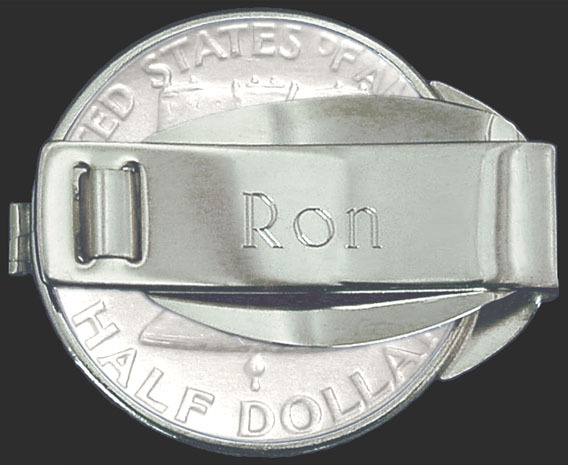 The engraving and look of the coin just adds to the beauty of it. He now has an heirloom he can pass down in the family. Thanks for a beautiful product. It was a pleasure doing business with Aurista! !